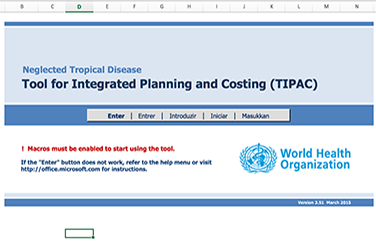 The Tool for Integrated Planning and Costing, or TIPAC (pronounced “tee-pack”), is a Microsoft Excel– based program that helps users accurately estimate the costs and funding gaps of public health programs. 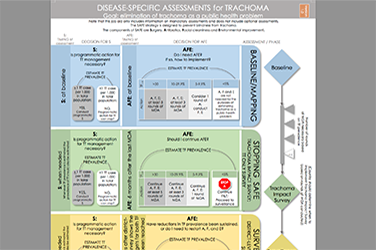 The NTD TIPAC can be used in conjunction with existing national NTD strategic plans and budgets in order to effectively plan and coordinate future program resources. The TIPAC is not a substitute for the strategic process of developing a national plan of action or program budget. 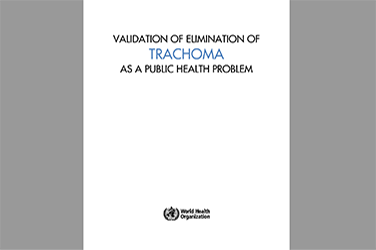 However, the tool should strongly align with these documents and can help with resource planning and revising a national plan to meet resource constraints. Also available in French, Spanish, Portuguese and Bahasa.